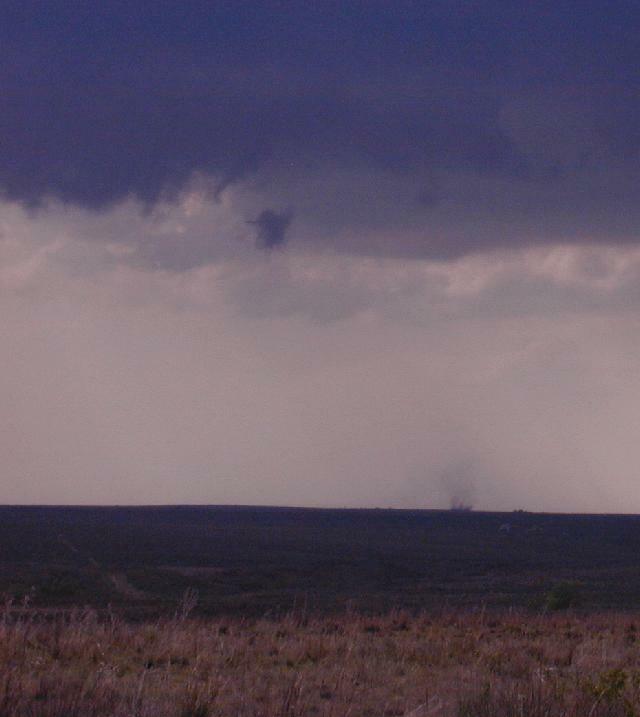 May 23 - Texas Panhandle - and Tornados! The question, as usual, was go south for better moisture or north for better shear. And, of course, when would convective initiation begin. This storm varied in organization, but eventually got its act together long enough to put down four tornados - surface spin-ups under the rotating wall cloud. Not very spectacular, but they were tornados! 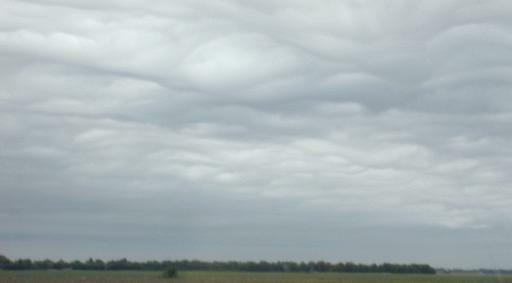 TThis was near Lipscomb, TX. At last! Tornados. Okay... not the most spectacular... but a good sign. With only one more day to chase, it was good to see them. After this storm lost its structure, chasers went all over the place after the many different storms in the panhandle. 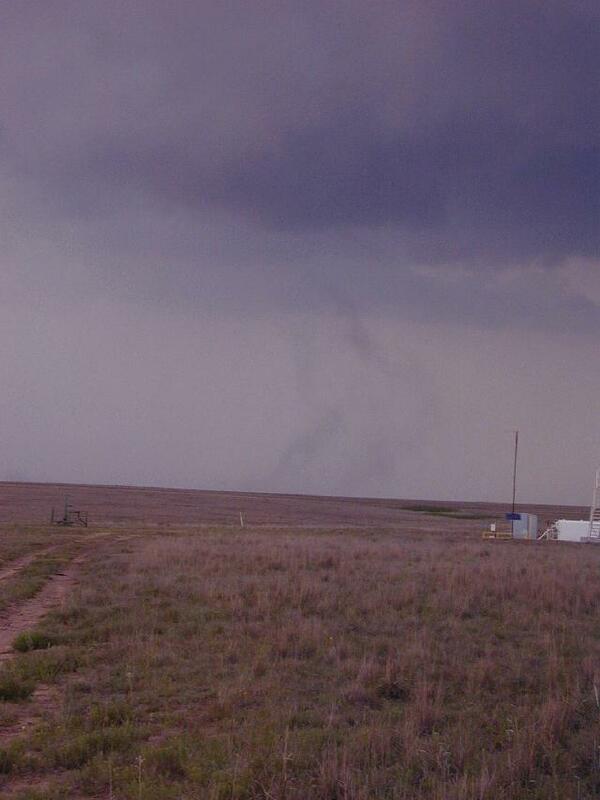 Reportedly, a storm near Borger had the best structure, and had already produced tornados. But Borger was a LONG way away. We decided to bag it and head for Amarillo for the night. But... as we got to Canadian we saw a pretty nice storm to the NE. Sowe went after it... NW up 83, then west along Ranch 281. This path also would put us in a nice position for the Borger storm. As we approached highway 70, we came across a small but strenghtening storm. 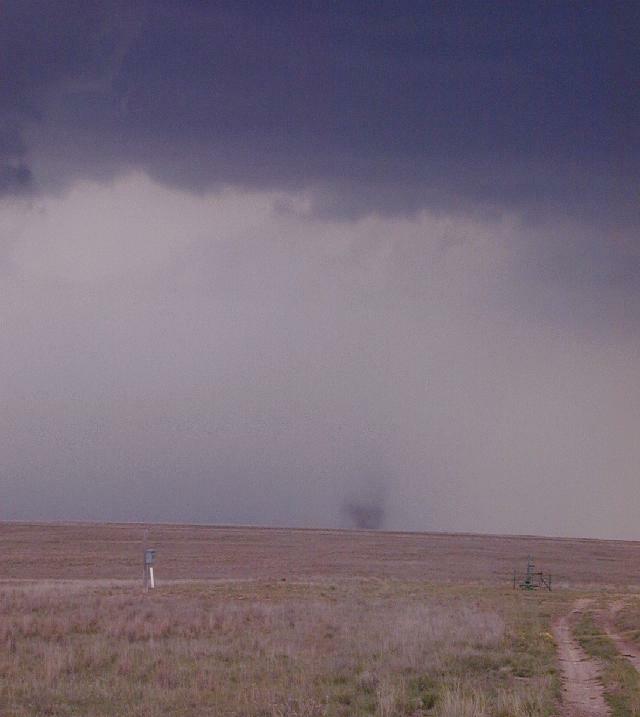 It wPs only a couple of miles south of the raod, and we drove to almost north of it about 3 miles west of 70. With eager anticipation, we were watching a nice rotating base on its NW side, when we were attacked by 1" or so hail, se we had to retreat back east. 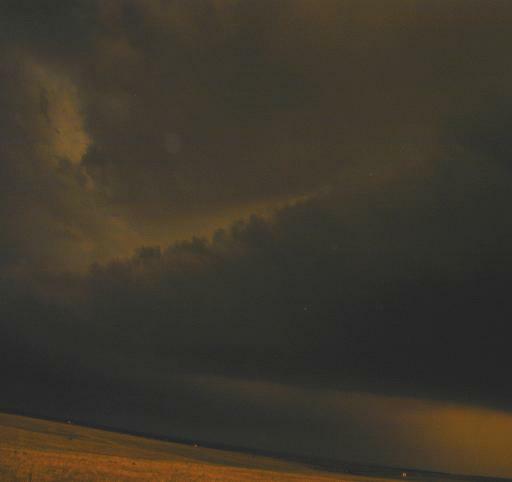 When we got to highway 70. the storm had developed a massive inflow band and we went under it near the core... scary. The rain continued for many miles, and it was getting dark, so we drove all the way to Pampa, TX where we got one of the last rooms in the Best Western. Along the way we stopped and watched an amazing lightning show illuminating a fantastic "mother ship" supercell. 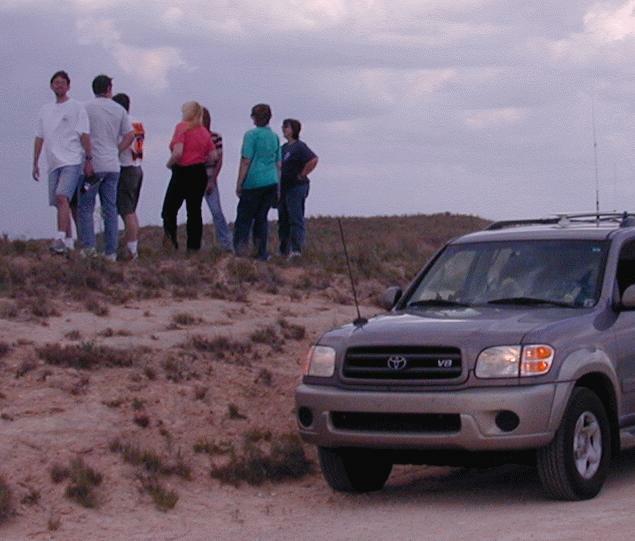 Many, many chasers were pulled off along the road watching and photographic this storm.